Ali, S., Enriquez, M., & Gheith, S. (2014, May). Follicular dendritic cell sarcoma: A rare entity with variable pathologic and prognosis. 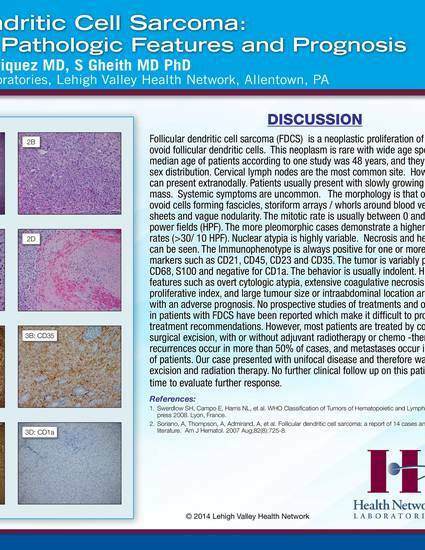 Poster presented at: The Atlantic Regional Hematopahtology Meeting, Philadelphia, PA.